Zentangle® is a new and meditative art form for the non-artist and artist alike. Taught one stroke at a time, anyone can learn this unique drawing technique. Spend three weeks learning how to draw “seemingly” complicated patterns and create beautiful, finished pieces of art. Fun, easy, mindful, meditative and fascinating are just some of the descriptions that come to mind. Join the fun and discover the benefits of Zentangle! Materials include pens, pencil, shader, and tiles. All sessions are 3 Weeks and the cost is $69, including materials. Now that you have completed Zentangle® Basics, take your tangling to new depths and heights! Learn new tangle patterns, shade for greater depth and learn how to highlight for greater expansion. Tangellations will be introduced as a simple method of how to create new and unique patterns of one’s own. Join the fun and meet others who also enjoy Zentangle! Materials include pens, pencil, shader, and tiles. All sessions are 4 Weeks and the cost is $89, including materials. Zentangle® is a new and meditative art form for the non-artist and artist alike. Taught one stroke at a time, anyone can learn this unique drawing technique. Join this four hour workshop to learn how to draw “seemingly” complicated patterns and create beautiful, finished pieces of art. Fun, easy, mindful, meditative and fascinating are just some of the descriptions that come to mind. Join the fun and discover the benefits of Zentangle! Materials include pens, pencil, shader, and tiles. Cost is $49, including all materials. Shattuck Series: Shattuck, Vitruvious, Gneiss, Avreal, Opus and Tidings. Facade Series: Facade, Highbred, W2, Hurry, Sedgling and Vermal. Can't get enough tangles? This workshop is for you. Each month a new series of patterns will be taught. If time allows, more patterns will be added. Mastering these patterns, with suggestions on variations and shading, will be the focus. Students are responsible for bringing basic materials: 01 and 08 black pens, pencils and shaders. Other materials will be provided, including tiles, drawing surfaces and extras. Previous instruction from a certified Zentangle teacher is required. The cost is $35 for each 2.5 hour workshop. Classic, elegant or funky? You choose the style and then learn how to use simple, yet intricate looking, Zentangle® patterns to create a unique letter for yourself, or as a special gift. Tangled letters make ideal graduation, wedding. birthday and special occasion gifts. One finished work will be mounted in a pre-cut mat and secured in a poly sleeve. Students are responsible for bringing basic materials: 01 and 08 black pens, pencils and shaders. Other materials will be provided, including tiles and drawing surfaces. Previous instruction from a certified Zentangle teacher is required. The cost is $35. Zentangles in the round! Taking the ancient art form of mandalas and adding the art of Zentangle® has created the Zendala. Working on 4-1/2” circular paper tiles, students will use new and previous learned tangle patterns to create beautiful works of art. One finished work will be mounted in a precut mat and secured in a poly sleeve. Students are responsible for bringing basic materials: 01 and 08 black pens, pencils and shaders. Other materials will be provided, including tiles, drawing surfaces and extras. 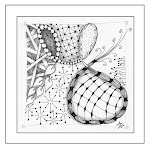 Previous instruction from a certified Zentangle teacher is required. The cost is $35. Come learn the new and creative drawing form called Zentangle® and unlock the potential for this creative tool in your classroom. With Zentangle®, drawing can become relaxing, intuitive, and fun while increasing one’s personal sense of well-being, creativity and focus at any age. Any classroom teacher can apply this art form to classroom challenges such as mindfulness, problem solving, team building, focus with ADD, self esteem, handwriting, and stress management. All participants will learn how to create zentangles, discover how drawing tangles benefit a student’s learning, and leave with resources for use in the classroom. Certificate of Participation and CEU's will be awarded. Cost is $59, including materials. or register by phone at (603) 230-7300.